My laboratory was closed after 35 years of operation. 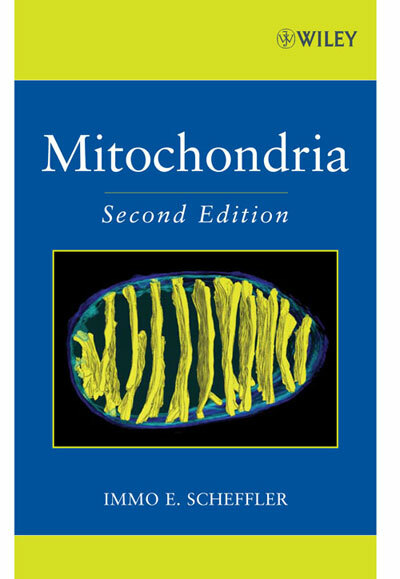 I continue to have an interest in all aspects of mitochondrial biology, and a second, updated edition of my book MITOCHONDRIA was published recently. Collaborations continue with laboratories at UCSD (Taylor, Perkins), at UC Irvine (Wallace) and Neuzil (Australia). Potluri, P., Procaccio, V., Scheffler, I. E., and Wallace, D. C. (2016). High throughput gene complementation screening permits identification of a mammalian mitochondrial protein synthesis (ρ−) mutant. Biochimica et Biophysica Acta (BBA)-Bioenergetics. Scheffler, I. E. (2015). Mitochondrial disease associated with complex I (NADH-CoQ oxidoreductase) deficiency. Journal of inherited metabolic disease, 38(3), 405-415. Scheffler, I.E. (2008). MITOCHONDRIA. 2nd edition, J. Wiley and Sons, Inc., Hoboken, New Jersey. 462 pages. Yadava, N., Potluri, P., and I.E. Scheffler (2008) Investigations of the potential effects of phosphorylation of the MWFE and ESSS subunits on complex I activity and assembly. The Int. J.of Biochem. and Cell Biol. 40:447 – 460. Scheffler, I.E. (2008) Signaling pathways from mitochondria to cytoplasm and nucleus. In Handbook of Cell Signaling (R.A. Bradshaw and E.A. Dennis, series editors). Part IV: Events in Intracellular Compartments (M. Farquahar and S.Subramani, editors). Elsevier Science. Invited review, in press. Scheffler, I.E. (2008) Basic Molecular Biology of Mitochondrial Replication. Chapter2, in Drug-Induced Mitochondrial Dysfunction. J. Dykens and Y. Will, editors; John Wiley and Sons, Hoboken, NJ. Dong, L.-F., Low, P., Dyason, J.C., Wang, X.-F., Prochazka, L., Witting, P.K., Freeman, R., Swettenham, E., Valis, K., Turanek, J., Spitz, D.R., Domann, F.E., Scheffler, I.E., Ralph, S.J., and J. Neuzil (2008). Tocopheryl succinate induces apoptosis by targeting ubiquinone-binding sites in mitochondrial respiratory complex II. Oncogene, 28:1-12. Neuzil, J., Dyason, J.C., Freeman, R., Dong, L.-F., Prochazka, L., Wang, X.-F., Scheffler, I., and Ralph, S.J. (2007). Mitocans as anticancer agents targeting mitochondria: lessons from studies with vitamin E analogues, inhibitors of complex II. J. Bioenerg. Biomembr. 39:65-72. Broderick, K.E., Potluri, P., Zhuang, S., Scheffler, I.E., Sharma, V.S., Pilz, R.B., and Boss, G.R. (2006). Cyanide detoxification by the cobalamin precursor cobinamide. Exp. Biology and Medicine, 231:641-49. Sonoda, J.,Laganiere, J., Mehl, I.R., Barish, G.D., Chong, L.W., Li, X., Scheffler, I.E., Mock, D.C. Bataille, A.R., Robert, F., Lee, C.H. Giguere, V., Evans, R.M. (2007) Nuclear receptor ERR alpha and coactivator PGC-1 beta are effectors of IFN-gamma-induced host defense. Genes Dev. 21:1909-1920. Potluri,P., Davila,A., Ruiz-Pesini,E., Mishmar,D., O'Hearn,S., Hancock,S., Simon,M., Scheffler,I.E., Wallace,D.C., and Procaccio,V. (2009). A novel NDUFA1 mutation leads to a progressive mitochondrial complex I-specific neurodegenerative disease. Molecular Genetics and Metabolism, in press. After receiving his Ph.D. from Stanford University, Immo Scheffler was a Helen Hay Whitney Fellow at Harvard University and the Pasteur Institute, Paris. He is the recipient of an Alexander von Humbolt Award for Senior U.S. Scientists. At UCSD, Professor Scheffler has been honored with a Chancellor's Associates Excellence in Teaching Award, an Alumni Association Teacher of the Year Award, and a teaching award from the Academic Senate. Professor Scheffler was the first holder of the Paul D. Saltman Chair in Science Education at UCSD (2001-2004). Editorial boards include the Journal of Biological Chemistry. Dr. Scheffler was recently elected a Fellow of the American Association for the Advancement of Science (AAAS).